Biotin, also known as vitamin B7 or vitamin H, is found in foods such as cucumber, oats, cabbage, eggs, berries, and milk. Although biotin helps support the health of the skin, nerves, digestive tract, metabolism, and cells, maintaining a diet that is high in biotin or taking biotin supplements can actually do more harm than good. What are biotin side effects? FastMed Urgent Care has the answer! When it comes to your medical care, there is never a reason to compromise. This is why FastMed provides high-quality, cost-effective medical care 7 days a week all 365 days of the year. Wait, Biotin Has Side Effects? Because getting too much biotin can increase your risk of certain health conditions, it is recommended that children get no more than 5-12 units of biotin a day and adults get no more than 20-30 units. Allergies. People who are allergic to vitamin B12 are commonly allergic to biotin, as well. An allergic reaction to biotin will often include nausea, a rash, or swelling of the throat and face. Acne. Some people have found that too much biotin can cause acne on the chin and jawline. Miscarriage. If you are pregnant or trying to become pregnant, high levels of biotin can increase your chances of miscarrying. Negative interactions. Some medications (like anti-seizure and cholesterol medications) can become less effective while taking biotin. If you are taking any medications, it is recommended that you speak with a healthcare provider before taking biotin supplements. To ensure that quality care is provided to all FastMed patients, we are committed to a safe environment for patients, staff, and the communities we serve. 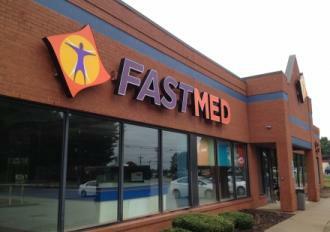 With locations throughout North Carolina and Arizona, it is easy to find a FastMed Urgent Care near you. Call or stop by today!